MASTER PROBLEMS People and Society How to prevent water drowning accidents? How to prevent water drowning accidents? When you leave your worries behind for a, day of fun at the seashore or at a lake, do not leave your common sense behind too. That would be a sure way of transforming a pleasurable outing into a painful or heartbreaking one. Realize that although water can be a friend that provides fun, relaxation and exercise, it also can be an enemy, a deadly enemy. Every year it takes the lives of a great number of persons because they fail to show enough common sense to respect it. A little forethought is much better than regrets. What good were regrets or apologies to the father whose seven-year-old daughter drowned when she was catapulted into the water when his boat was rammed by a carelessly driven motorboat? What good are regrets among friends or relatives of a swimmer that was drowned because he ventured out too far or because he went swimming by himself where there were no lifeguards? Regrets over what happened cannot take the place of the common sense that could have prevented an accident. When sensible suggestions are given for your safety at the seashore, a lake or a swimming pool, give heed to them. Do not take them lightheartedly, forgetting that a day of fun can be changed by folly to a day of tragedy. Wisely maintain a healthy respect for water, never becoming overconfident or indifferent to its danger. No matter how hot a day may be, staying alive is more important than staying cool. It has been observed that some of the people who take advantage of swimming facilities are either poor swimmers or cannot swim at all. Obviously such persons would be foolish to venture into water where no life' guards were present or, at least, persons capable of rescuing them if something were to happen. In tact, anyone who swims alone, including a good swimmer, is inviting trouble. If the water is paid it is unwise to plunge into it; it creates a shock to the system. Some may contend that it is stimulating, but they are mistaken. Instead of being stimulating, it is exhausting, causing a loss of energy. Enter the water gradually so your body can become adjusted to it. This is especially important for one who has not been swimming for several months. A swimmer, for the sake of his own safety, should be conscious of his limitations, and not a go out too far. In the ocean it is often more difficult to swim back than it is to swim out. So be certain you have the strength and ability to get back from any place you think about swimming to. Do not permit your companions to entice you into water that is too deep for you or into going out farther from shore than you should. Suppose you do get into trouble, what should you do? The most important thing is not to panic, but to remain calm. Do not fight the water; you are certain to lose if you do. Instead, relax, allowing yourself to float on your back, remembering that your body cannot sink because of its natural buoyancy. Slow movements of your feet and hands will keep your body level. Even if you were to relax face down without leg or arm movements your body would still float with your head a little below the surface. 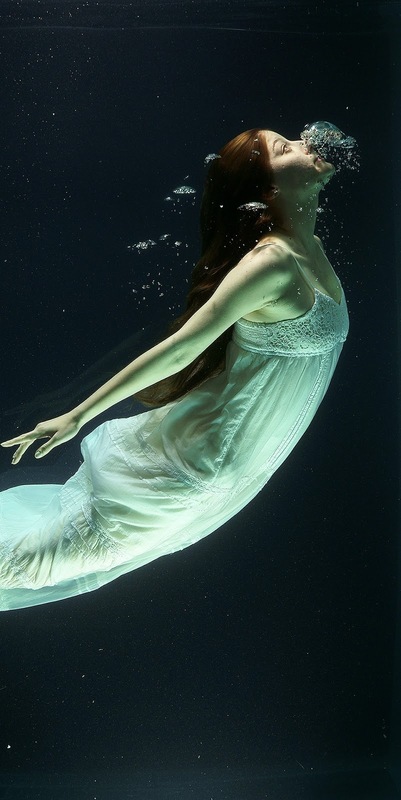 By exerting a little effort you can raise your head high enough to take in air; then relax as you exhale under water. By doing this you can keep yourself afloat until help arrives. The poor swimmer who tries to save a drowning person will most likely fail and lose his own life as well. By the time he reaches the person in trouble he may be so tired that he is unable! to fight the victim's frantic struggles, much less bring him back to safety. Common sense will send him for a boat, a life preserver, an inner tube or help from others. Never go swimming right after a meal. Why? Because it is an easy way to get painful cramps, causing you to drown. This is especially, true after eating heavy, greasy foods. Use good sense by waiting for a while after eating, perhaps an hour or more. It is also very unwise to swim when overheated or overtired. If you intend to do some diving in strange waters, investigate them first, making certain that the water at the place you pick is sufficiently deep. Look for submerged objects such as rocks or timbers. It is better to investigate before you dive than to crack your head open on a jagged rock or break your neck on a shallow bottom. Skin diving may be a water sport you would like to engage in, but before you do be sure you are in good physical condition. Forget it if you have a bad heart, bad lungs or asthma. They can make underwater swimming extremely dangerous. So can a cold or sinus trouble. When you have these troubles common sense says to stay on the surface. As with surface swimming, skin diving should never be done alone or immediately after a heavy meal. Before you go down be certain that you have a depth gauge, a waterproof watch, a knife, and that your tank is filled with the right air and with enough for a long swim if necessary. With each year bringing an increase in the number of boat owners and boat users, it is more important now than ever before to use common sense when boating. Common sense can prevent most of these accidents. Operating a boat is not the same as operating an automobile. Because water, unlike a road, is constantly changing and a boat is subject to the vagaries of wave and wind, many experts contend that boating is more difficult than car driving. There a is also the matter of brakes. A boat has none, and that requires the pilot to be alert constantly to the danger of collision. It is true that he can reverse the propeller, but it takes time to stop. The best way to avoid an accident is to operate the boat at a speed that is safe for your surroundings and so you have the boat under control. The inexperienced pilot that throws a fast moving boat into a sharp turn is wholly without good sense. One person who did this was thrown into the water, and his runaway boat crashed into another boat and went on to terrorize swimmers and water skiers until it was finally stopped by a person who leaped on board from another boat. Never leave shore in a leaky or poorly constructed boat. To do so would be inviting trouble. Get a suitable craft, and before taking it out check it for life jackets and other safety equipment. It would be common sense to insist that anyone going with you who cannot swim wear one. Although it is difficult to leave some friends behind, that is far better than overloading the boat and endangering the lives of all on board. Before venturing out on any body of water you should first inquire about local wave and weather conditions as well as the location of submerged objects that might be dangerous to the boat. Since a severe storm can blow up in a matter of a couple of hours on some bodies of water, it is vital to know local weather conditions. With that knowledge you will know how far you can go from shore in safety. Overpowering a boat is not good sense; it makes it hard to control and can cause it to upset or to break up. A lack of good sense is also shown by one who operates his motorboat near swimmers and fishing craft. Keep it out where there is plenty of room and no danger of injuring anyone. If you were to speed by a small fishing craft, the wake from your motorboat could swamp it or throw its occupants into the water. You could be held responsible for injuries or loss of property caused by the wake you created when passing. Suppose you were in a canoe or another small boat and it overturned; what would you do? Making a wild, long distance swim for shore would not be good sense. Chances are you would tire out and never make it. Because ghost small craft will float when overturned or when filled with water, it is best to stay with the boat. It is easier to spot by rescuers than the bobbing head of a swimmer. Have the passengers get on opposite sides of the boat with their hands clasping one another’s arms across its bottom. They can stay that way for a long time without tiring. Before ever leaving shore you should, without fail, let someone know where you are going and when you expect to be back. Then if something happens and you do not return when you said you would, a search can be promptly made. Otherwise you may not be found in time to be rescued from a watery grave. Whether swimming or boating, always respect the water, taking every possible precaution to avoid accidents. Never forget that while it can bring you a great amount of enjoyment, it can also bring death. So use common sense it may save your life.